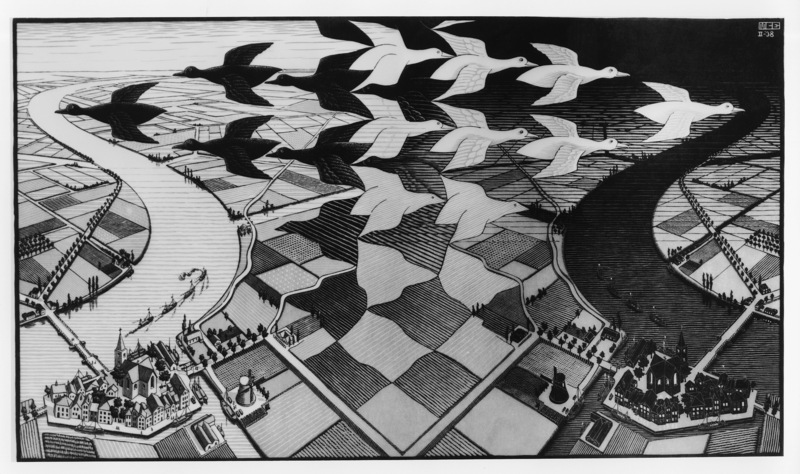 From impossible staircases to gravity defying waterfalls and hands that draw themselves, Dutch artist M. C. Escher’s paradoxical works defy logic and reason. His use of mathematical objects and operations allowed him to create works that play with perspective and conceptions of reality, creating impossible constructions and infinite tessellations. 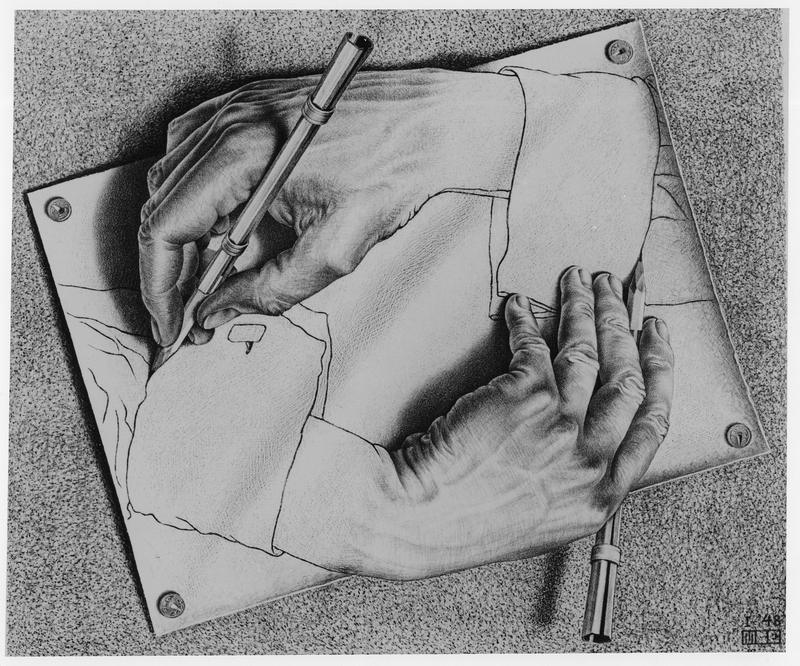 Blending mathematics and art, Escher has found a universal reach, making him a staple of popular culture and one of the world’s most beloved and famous graphic artists. 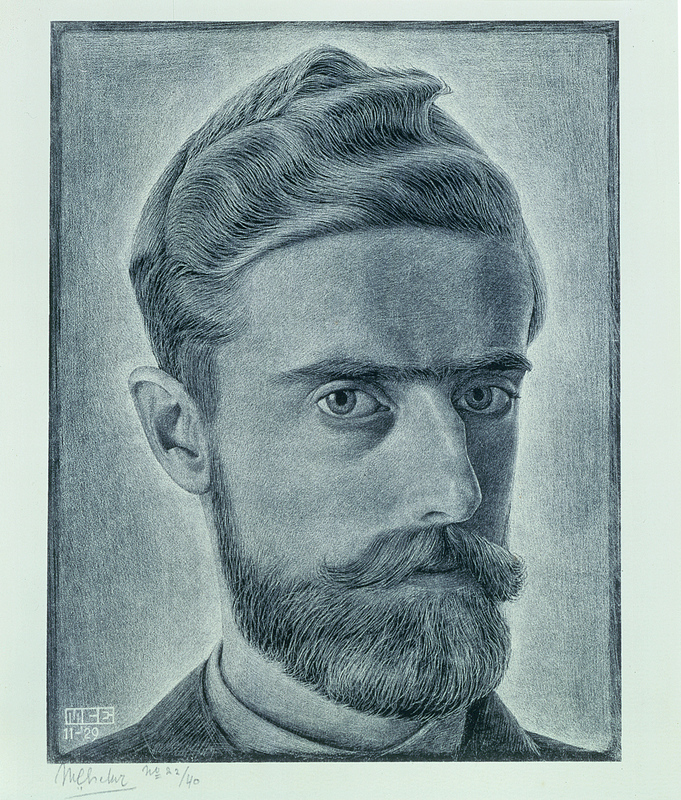 Analyzing the works of this creative genius is the BYU Museum of Art’s exhibition M. C. Escher: Other Worlds, which takes a journey through the artist’s life, from his beginnings in the Netherlands, through explorations of his life in Italy, and finally the mind-bending creations that have made him famous. 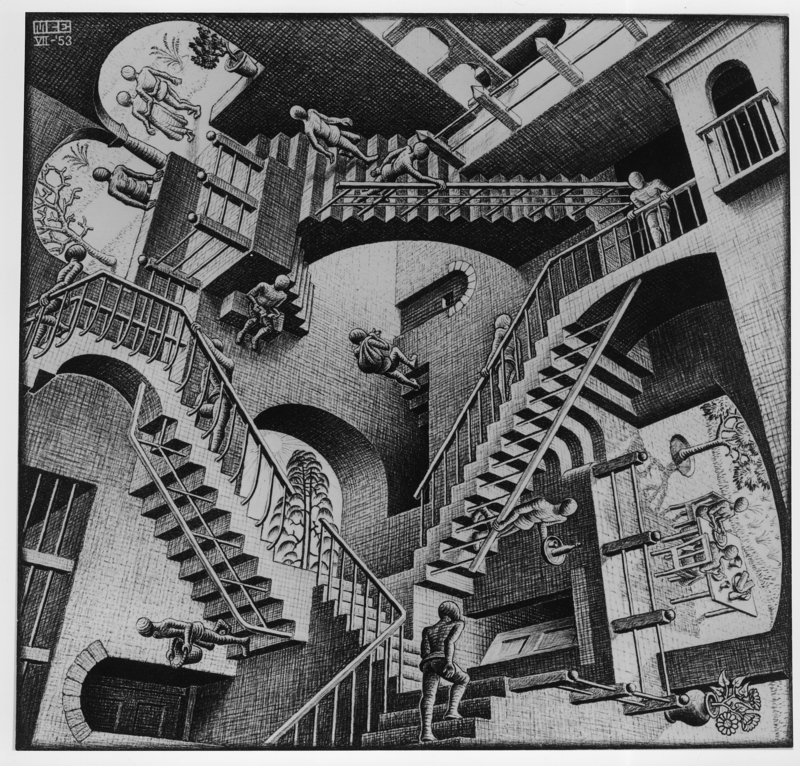 This biographical layout allows visitors to understand Escher by following him through his life’s work, seeing how his travels influenced his style and techniques. The exhibit explores three distinct chapters of his life. Beginning with his early woodblock prints, visitors see his early surrealist influences and how he plays with his medium. The chapter devoted to his work from Italy, his adopted homeland, showcases image after image of the architecture and countryside he learned to love, before eventually being forced to leave due to the escalation of Italian fascism. It is this bitter separation from the country he loved so dearly that led to the third chapter of his life, spent in Switzerland, Belgium and the Netherlands, in which he created the fantastic and enigmatic scenarios for which he is best known. Rather than just the workings of a mathematical genius, his later works show a man reconciling with the loss of the home he loved. Never again does his work have the same sense of place or meaning, but rather, he creates works that never have a definite ending, constantly stuck in the same cycle. Discovering the life beneath the art allows visitors to can gain new meaning from his famous paradoxes — not only as mathematical masterpieces, but also as expressions of the frustrations he experienced due to the fascist dictatorship that forced him to leave the home he loved. This additional focus on music in Other Worldscreates a dual narrative for the exhibit, one biographical, the other musical. Making this musical narrative possible is the Bösendorfer piano located in the center of the exhibit. Equipped with Disklavier technology, the piano is technologically capable of playing intricately nuanced compositions without a performer. Visitors are able to choose between different pieces of music, labeled throughout the exhibit, many of which were inspired from Escher’s work, like Ligeti’s “The Devil’s Staircase,” or else inspired Escher directly, like Debussy’s “La Cathédrale Engloutie.” The ability to use the piano allows the music to be heard throughout the exhibit, creating a unique experience for visitors to wander the gallery and either find the piece that it’s connected to, or find their own connections between the music and the art. Creating an interdisciplinary experience that calls for participation creates a truly unique experience for each visitor, allowing new discoveries, new connections, and new insight into this famous artist. It is the combination of both the biographical and musical narratives that truly makes Other Worlds a success. Together, they enlighten each other to allow visitors to discover the heart of Escher, stripping away the highly intellectual works to uncover the man underneath. He was a man who throughout his life faced challenges and frustrations that exposed him to the chaos and disorder in the world. However, when faced with this chaos, he was able to find beauty through his twin refuges of music and art. Other Worlds captures these complexities and finds a way to uncover the mysteries of this beloved artist, creating a show that truly celebrates the spirit of Escher. M.C. 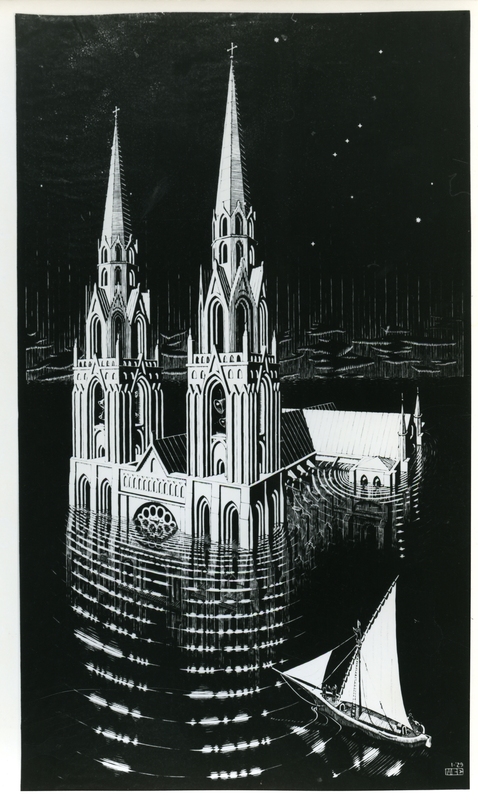 Escher: Other Worlds, BYU Museum of Art, Provo, until May 19.